Human institutions are continuously threatened by both man–made and natural disasters. They provoke damages that may be hard to value and to compensate, and may also induce simultaneous defaults in industry and in insurance. When prevention means fail, economic and financial instruments become necessary to manage risks. 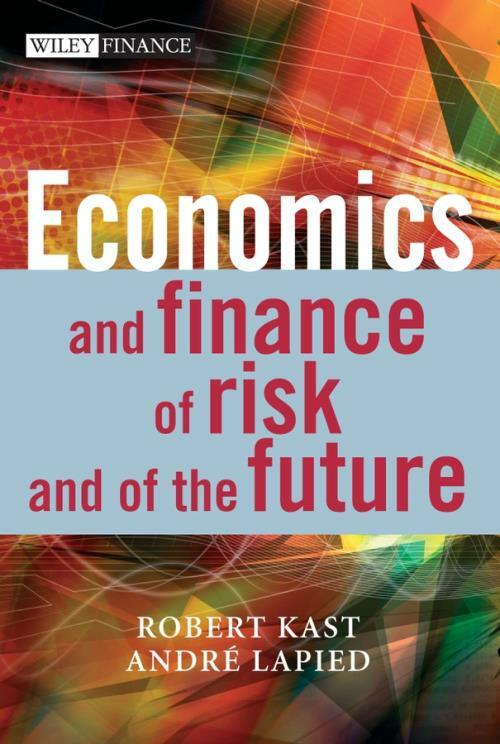 The scope of this book is to introduce new instruments based on the most recent developments in economics and finance theory. Public economics, decision theory, and arbitrage pricing in financial markets are all areas where these practical tools can be used. Applications are found for: public and private project management, insurable and non insurable risks, static and dynamic hedging of financial investments. How to measure uncertainties when non–controversial probability distribution are not available? How to give a monetary value to non–tradable goods and assets? When can an individual valuation be implemented for a collective choice? How to use the powerful tools of finance to take into account irreversibilities and flexibilities so crucial to challenge huge risks? Problems: new methods and new instruments. PART I: INDIVIDUAL vs COLLECTIVE CHOICE. 1. Risks in a Public Project: The Millau Viaduct. 2. Individual Valuations and Economic Rationality. 2.1 Preferences on consequences and utilities of decisions. 2.2 Decisions, acts and contingent assets. 2.3 Criterion and individual valuation: averaging. 2.4 A simple decision theoretic model. 2.5 A general criterion of individual valuation. 2.6 The two main criteria for decision–making in front of a known probability distribution: paradoxes and limitations. 3. Aggregation of Individual Choices. 3.2 Market aggregation of individual preferences. 4. Individual and Collective Risk Management Instruments. 4.2 Optimisation under constraints: mathematical programming. 4.3 Risk and cost benefit analysis. Concluding comments on Part I. PART II: RISK vs UNCERTAINTY. 5. Insurable and Uninsurable Risks. 5.1 Insurance of risks with a known probability distribution. 5.2 Insurance of risks with uncertainties. 6.1 Laws of large numbers and the principles of insurance. 6.2 Risk aversion and applications to the demand for insurance 1. 6.4 Risk measures: variance and Value at Risk. 6.6 Aversion to risk increases. 6.7 Asymmetric information: moral hazard and adverse selection. 7.1 A general theory of risk measurement. 7.2 Applications to risk valuation. 8. Management Instruments for Risk and for Uncertainty. Concluding comments on Part II. PART III: STATIC vs DYNAMIC. 9.1 Lotteries and the gambling business. 10.1 The net present value. 10.3 Static models of financial market equilibrium pricing. 10.4 The value at risk. 11.1 General theory of a dynamic measure of risks. 11.2 Applications to risk valuation. 12. Static and Dynamic Risk Instruments. 12.1 Static risk management instruments. Concluding comments on Part III. 1. How to deal with controversies. 2. Look for market valuation. ROBERT KAST has a research position at LAMETA–CNRS, University of Montpellier (France) and has published papers and books in decision theory and financial market theory. ANDRÉ LAPIED is Professor of Economics at GREQAM, University Paul Cézanne in Aix–en–Provence (France) and has published papers and books in financial market theory and economic theory. They work together in risk theory and have achieved several governmental investigations on applied problems. Some of them raise questions on risk management that are addressed in this book.